This always happens. A company produces a minor design innovation that might allow for compacts to be less awful to the point where I might consider getting one again, then same company ruins it by increasing the megapixel count, thus negating (and maybe even worsening) any advantages said innovation might have brought otherwise. 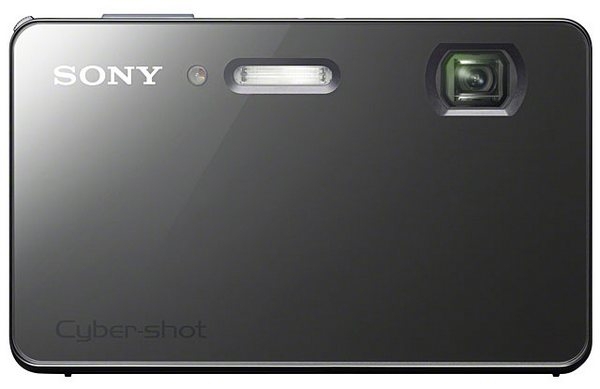 Sony's latest, the DSC-TX200V, is clearly intended to be Sony's flagship compact camera, but 18 megapixels? It packs the otherwise promising Exmor R CMOS sensor, which Sony touts it will be great in low-light situations (and I have a bridge to sell you folks), a slow-ish 5x optically stabilised folded optics zoom lens at 26-130mm equivalent with maximum apertures of f/3.5-4.8, a tasty 3.3" WVGA OLED touchscreen (which unfortunately also means most physical controls have been obliterated), 1080p video in AVCHD, crammed with a ton of software features, like Sony's famous Sweep Panorama mode, all in a slightly waterproof, freezeproof and dustproof body that is also pretty stylish. It is the second compact that will make use of micro SD cards, and will sell for a princely sum of US$500 in March. More photos and full details at the link below. The other two cameras, The DSC-WX70 and DSC-WX50, are more conventional affairs. They are still slim cameras, but pack a more standard retracting lens. Both offer 16 megapixel Exmor R sensors, 5x optically stabilised 25-125mm equivalent f/2.6-6.3 zoom lens, 1080p video in AVCHD, and similar inter software to the TX200V. The difference between the two cameras are in their screens. The WX50 offers a 2.7" HVGA LCD, while the WX70 offers a 3" VGA touchscreen LCD. Both cameras will ship in March, with the WX70 going for US$230, and the WX50 going for US$200. More photos and full details at the link below.